Look up! Up in the sky! 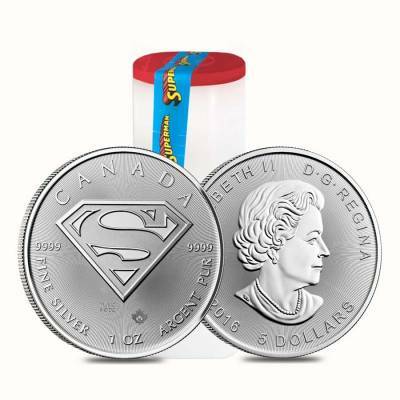 It’s no bird, or plane, it is the Royal Canadian Mint’s latest release, the 2016 1 oz Silver Canadian Superman: S-Shield .9999 Fine $5 Coin. 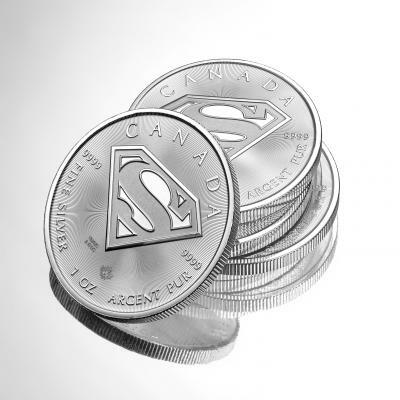 It is with great excitement that Bullion Exchanges introduces this exquisitely detailed coin released in celebration of Superman, a pop culture icon and symbol of power. 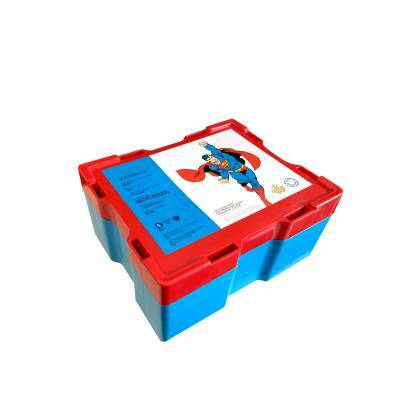 The most spectacular superhero to grace DC Comics, Superman has been hoisted to legendary hero status because of his well-known superhuman strength and fearlessness. Known as the most all-powerful being on the planet, his humility and prowess have stolen the hearts of children and adults around the world for decades. First introduced to us in 1938 as Kal-El after soaring the skies in a rocket and landing on earth from far-away planet Krypton, his story is one of greatness. The young boy was found and raised by a loving farm couple who bestowed upon him the name Clark Kent. Early on the couple took notice of Kent’s colossal force, and ingrained in him solid good values which propelled him to wind up a hero! Eligible for use in Precious Metals IRA accounts. Issued a face value of $5(CAD), backed by the Canadian government. Composed of 1 troy ounce of 99.99% fine silver. 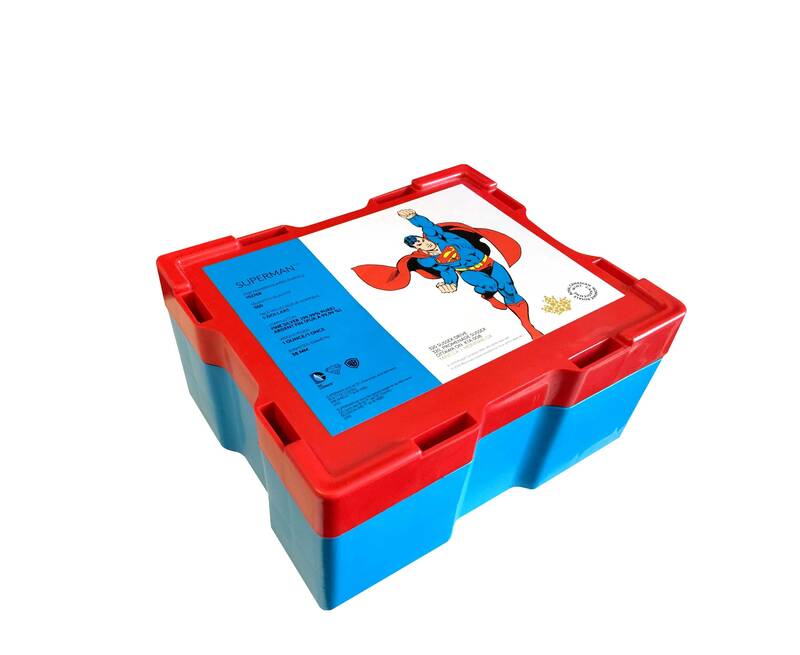 Individual coins will ship in a protective plastic coin flip, while purchases of 25 coins will ship in mint tubes which feature a unique Superman tamper proof seal, and orders of 500 coins or more will ship in Monster Boxes featuring a custom Superman label. 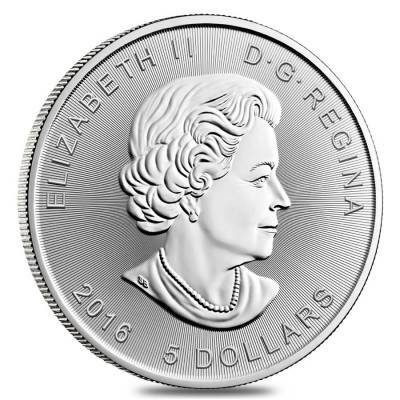 This coin boasts two unique security features, one being a micro engraved maple leaf which was first introduced by the Royal Canadian Mint in 2014, and the other being radial lines on both the obverse and reverse sides of the coin. The 2016 1 oz Silver Canadian Superman: S-Shield .999 Fine $5 Coin has a radiant frosted finish which intensifies the appearance of the Superman engraving. 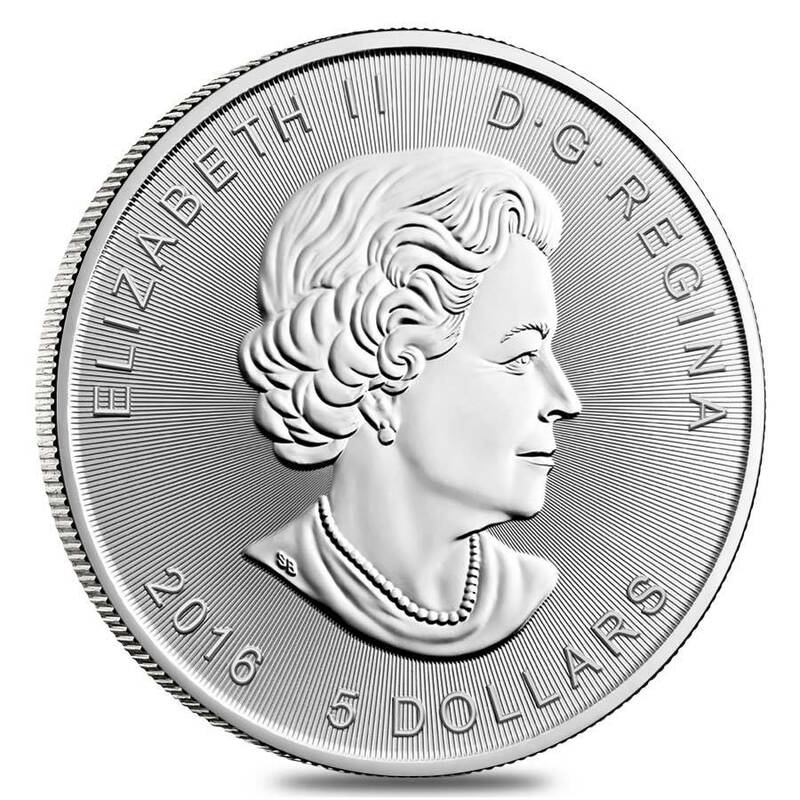 Obverse: Susanna Blunt’s popular depiction of her Majesty, Queen Elizabeth II. Blunt’s portrait is encircled unlike any previous years releases of the Canadian Maple Leaf Coin. She is surrounded by the inscriptions “ELIZABETH II”, “D.G. REGINA”, and “CANADA”. 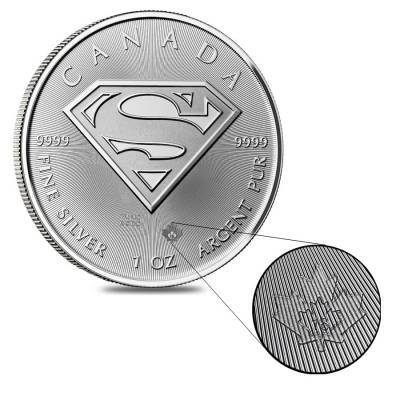 Reverse: On the reverse side of this special-edition coin is the image of Superman’s iconic symbol of strength, his S-Shield along with a micro engraved Maple Leaf, and the inscriptions of “CANADA”, “.9999”, and “FINE SILVER 1 OZ ARGENT PUR” along the rim of the coin. Why Should You Buy This Item? Limited Mintage sure to move at the speed of light! It is the perfect addition to any existing DC Comic’s coin collection, especially when paired 2016 Canada Proof 1 oz Silver $20 Batman v Superman: Dawn of Justice – The Trinity (w/Box & COA), or the 2016 Canada Proof 1/2 oz Silver $10 Batman v Superman: DOJ – Batman (w/Box & COA) both released by the Royal Canadian Mint. Collectible coins have both artistic, and historic value to collectors increasing their appeal. 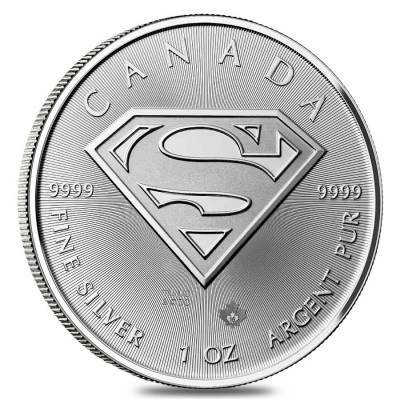 If you have questions about the 2016 1 oz Silver Canadian Superman: S-Shield .9999 Fine $5 Coin or any similar products offered on our website, please do not hesitate to contact us. A Bullion Exchanges customer service representative can be reached by phone at 800.852.6884, online through use of our live chat, or by email at info@bullionexchange.com. I love this Superman silver coin from RCM! Excellent quality and with beautiful radial lines-Thanks for super fast delivery! 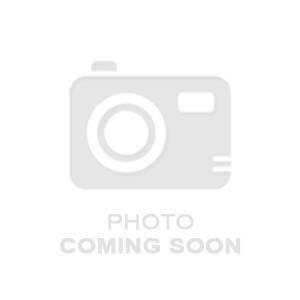 We currently have 436 of this item in stock.